You buy insurance to protect your home and auto investment. But are you also protecting your most valuable asset, your ability to provide for yourself and your family? What will happen if you become disabled, have a serious illness, or die? Life and health insurance products should be part of your financial planning for you, your family and your business. 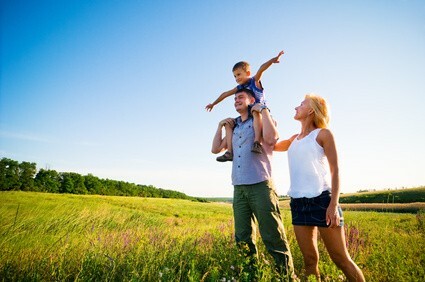 Life insurance to provide for the lifestyle your loved ones are accustomed too. Health insurance for medical expenses. Long Term Care insurance to defray home health and nursing home expenses. Disability insurance to provide additional income if you become disabled. AFLAC policies to help provide benefits for a variety of health events. Medicare Supplement insurance to partner with your Medicare coverage. 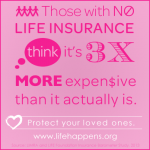 Click on the image to use the life insurance calculator from LifeHappens.org . Group Health, Dental, Vision and Life for your business. AFLAC policies to provide additional benefits for your employees. Life insurance to provide for business continuation. The nonprofit LIFE Foundation offers a life insurance needs calculator that can provide you with a general sense of how much coverage you need to protect the ones you love. It only takes a minute or two to go through the calculation. And if you find out that you need more coverage than you currently have, take action soon because there are no do-over’s with life insurance. You won’t get a chance to change your mind when you’re gone.